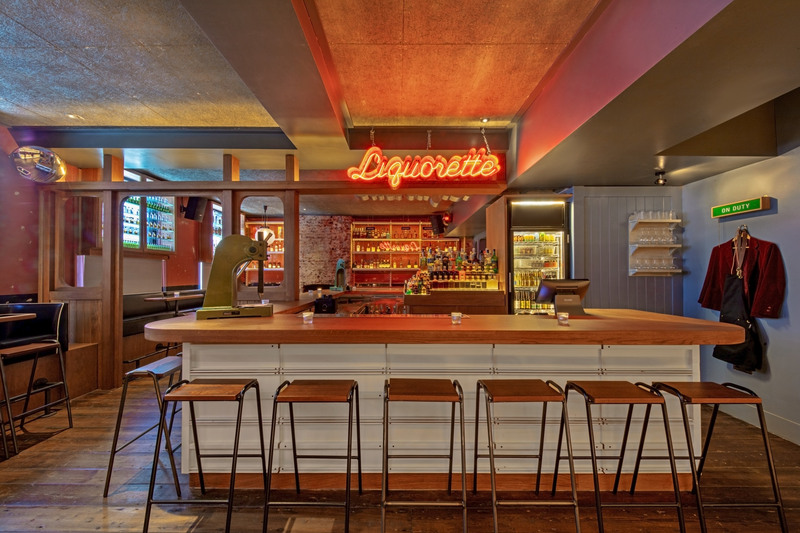 Occupying a Victorian-era building in London’s Fitzrovia neighbourhood, Genuine Liquorette has been designed by AvroKO to feature a host of nostalgic decor details that recall old-school New York City bodegas – small convenience stores that sell alcohol and groceries. 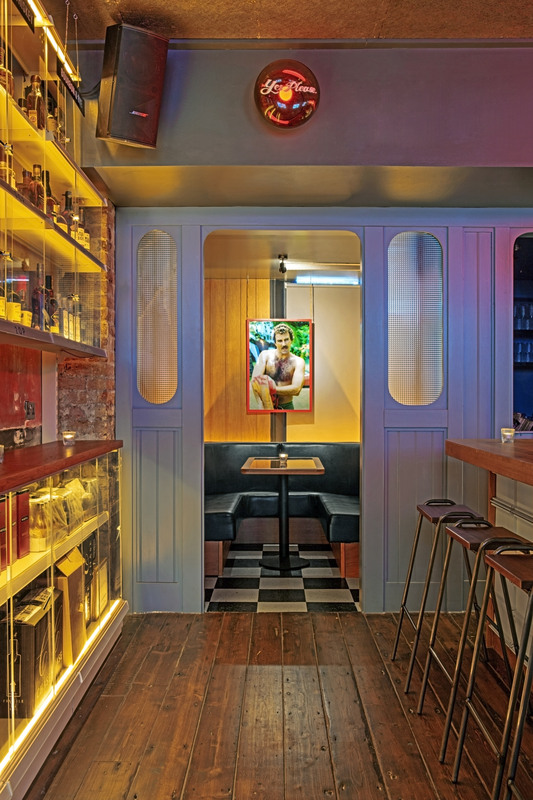 The second branch of the bar, which hosted a Dezeen party during the London Design Festival, joins another in New York’s lower Manhattan that also has interiors developed by the AvroKO team. 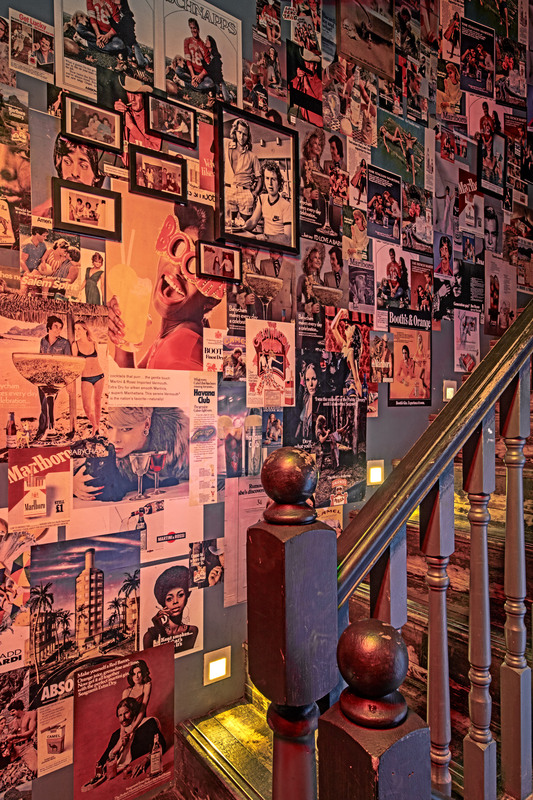 Rather than carrying out a complete overhaul, the studio worked on how they could make subtle interventions that maintained the building’s historic features while conveying the overarching theme of 1970s liquor stores. 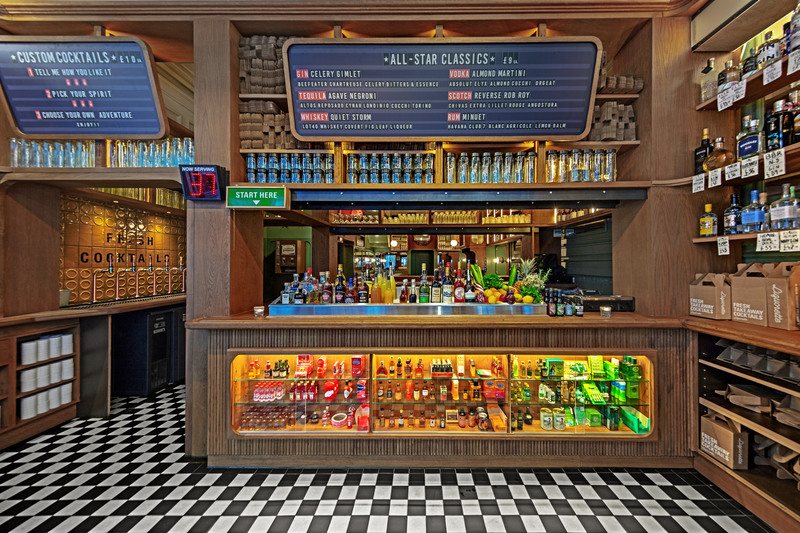 Another, more casual seating area has been created towards the bar’s entrance that has high counters and stool seats. The cocktail menu is displayed on vintage-style blackboards in block white lettering, while bottles are presented in a large metal ice tray, akin to what would be seen in a local fishmonger. The main drinks counter here is overlooked by a huge red neon sign that states the bar’s name, matching the one in the building’s front window. 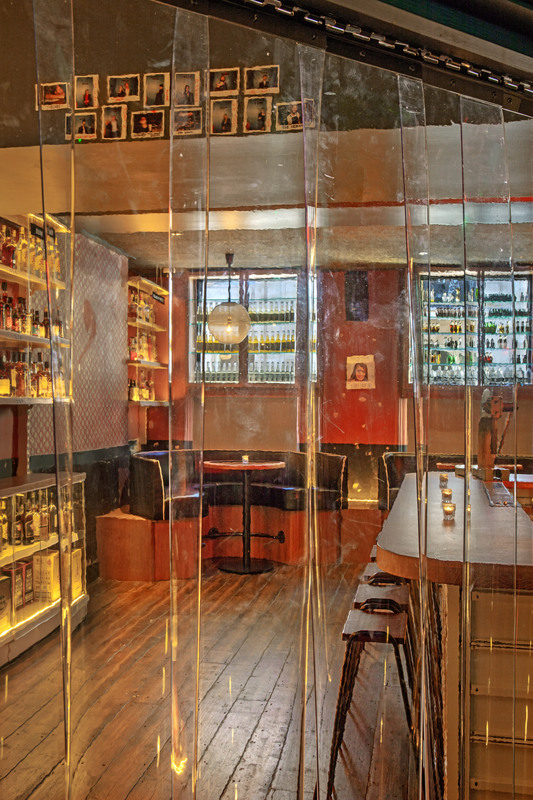 At the end of 2017, AvroKO completed members-only club Mortimer House, which is also in Fitzrovia. 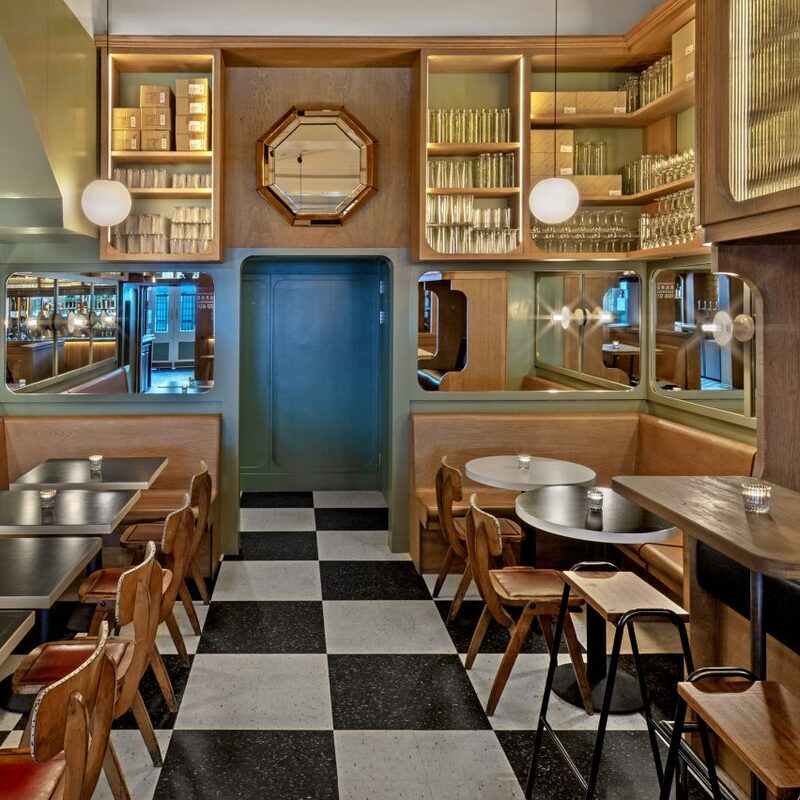 The club comprises of plush co-working spaces, bars, and lounges, all of which have been decked out in materials and colours that evoke the building’s Art Deco heritage. 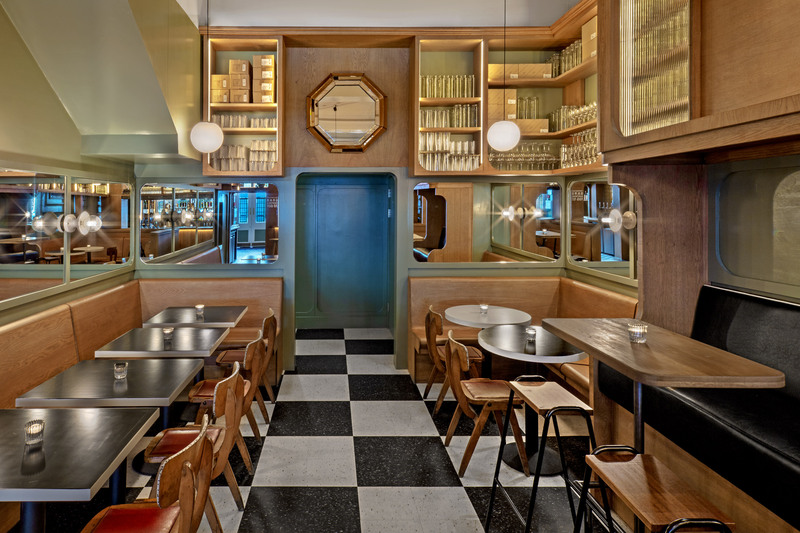 The post New York bodegas inform interiors of Genuine Liquorette bar in London appeared first on Dezeen.